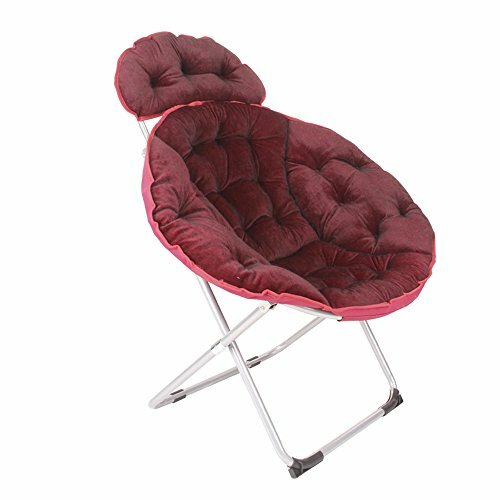 ◆ Products include folding chairs, does not contain other products on the picture, the product is mainly received in kind. ◆ stylish appearance, exquisite details, chair distraction, the rear bracket height up to 85cm, scientific stent design to make the chair more stable, load-bearing performance, more secure. ◆ High-quality fabrics, cushion padded suede design, comfortable and warm, comfortable feel, bright colors, selection of aluminum alloy materials, the surface after baking process, strong and durable skeleton, to ensure a solid chair. ◆ Reinforced anti-slip foot pad to prevent rollover, use safety and intimate to prevent damage to the bottom of the chair and the ground, well protected your floor.